The complex teacher retention issue will be at the forefront of the CTEP’s first-ever urban teacher education conference. The Chicago Teacher Education Pipeline (CTEP) was awarded a $10 million grant last fall to expand its model in urban, high-need communities in Chicago, including Pilsen and East Garfield Park, as well as in other major cities in Illinois, including Decatur and Peoria. The U.S. Department of Education awarded the grant, which will allow the urban education model to be integrated into three of the largest urban school districts in Illinois. The new Teacher Quality Partnership grant will develop the URBAN CENTER (Using Research Based Actions to Network Cities Engaged in New Teacher Education Reform), a comprehensive system of urban teacher recruitment, preparation and induction/mentoring. This will strengthen the Pipeline model that will recruit and prepare 500 quality teachers for the highest need districts in Illinois where teacher attrition is high and student achievement remains low. In addition to these four new locations, the CTEP will continue to serve Little Village, Auburn Gresham and Albany Park. During its 11-year history, the CTEP has used a community development approach to education in producing almost 400 new teachers for high-needs Chicago Public Schools (CPS). The Chicago Teacher Education Pipeline has been a part of Chicago communities and schools for more than 11 years. More than 85 percent of the alumni choose to work in an urban, high-needs area. The three-year retention rate for these educators is 91 percent; significantly higher than CPS, which loses approximately 18 percent of its teacher workforce each year. The CTEP’s support of teacher candidates does not stop after graduation. In response to the dwindling resources to support new teachers, faculty and staff developed an induction and mentoring program for first- and second-year alumni working in CPS. Preparing students for urban education begins on campus. Seventy-four courses across 22 disciplines have been redesigned to include urban education. These courses have helped thousands of current and aspiringeducators access the cultural assets of the communities where they live and work, whether that setting is urban, suburban, or rural. 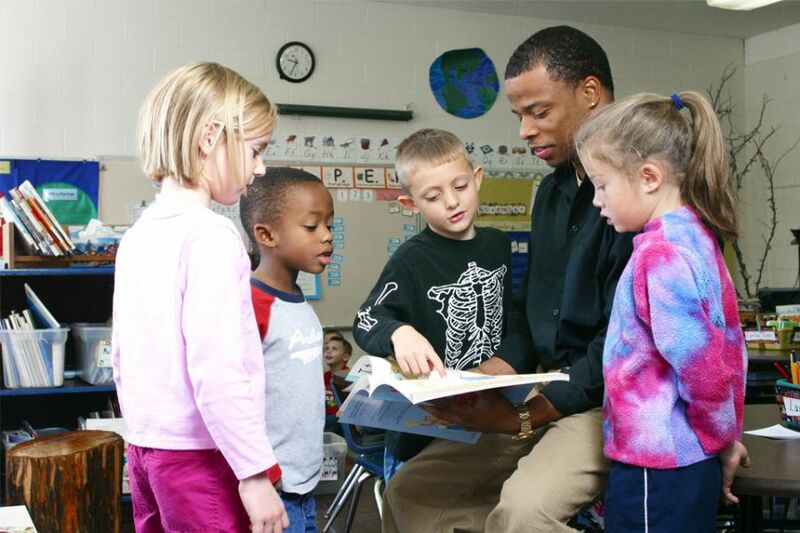 Illinois State has built a national reputation as a leader in urban teacher preparation through the diligent and dedicated efforts of the CTEP’s staff and countless community- and school-based partnerships. But the work has just begun. Community-based organizations are vital to the CTEP’s past, present, and future. Student teachers engage with these partners before ever setting foot in the classroom. These experiences introduce them to a community’s residents and its socio-cultural assets and challenges. Neighborhood residents also support these teacher candidates, providing them with everything from summer housing to servicel earning opportunities as they are immersed in racially diverse neighborhoods. One of the CTEP’s long-time partners is Carlos Nelson, executive director of the Greater Auburn Gresham Development Corp.
“One of the things that makes this program so exciting is that student teachers become well acquainted with the community, its stakeholders and assets, which allows them to establish connections with students and families that could otherwise be difficult,” he said. 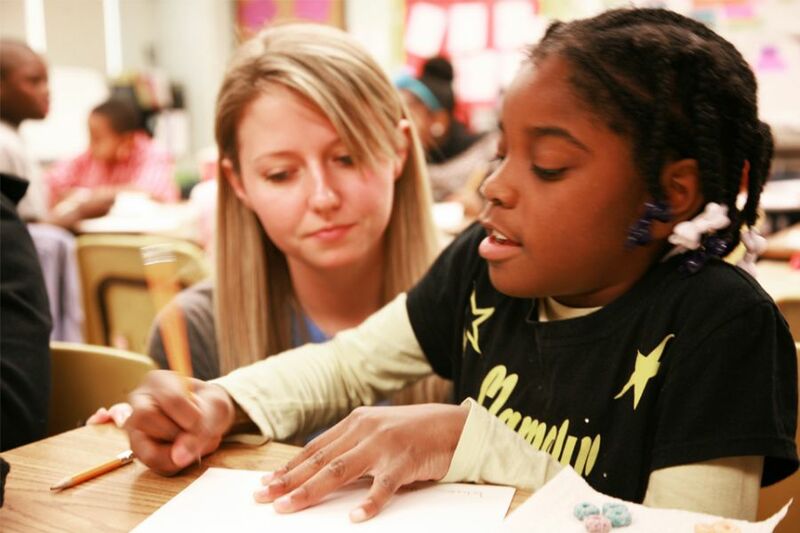 A Chicago Teacher Education Pipeline student works with elementary education students on a literacy lesson in a Chicago Public School. In addition to the Greater Auburn Gresham Development Corp, partners in Chicago include: LISC Chicago; Chicago Public Schools District 299; State Farm Insurance Co. Foundation; Enlace-Chicago; and North River Commission. New partnerships include Latino Policy Forum; Breakthrough Urban Ministries; The Resurrection Project; LISC Peoria; Peoria Public Schools District 150; and Decatur Public Schools District 61. Like any worthwhile effort, the CTEP’s development has not been without growing pains. But because the intention has remained focused on the ways to best serve communities and schools, the lessons learned have translated into improvements.